The Museum is delighted to announce that from this week, Claude Grahame-White’s office on the first floor of the Grahame-White Watchtower will be open to the public as part of the general exhibition. 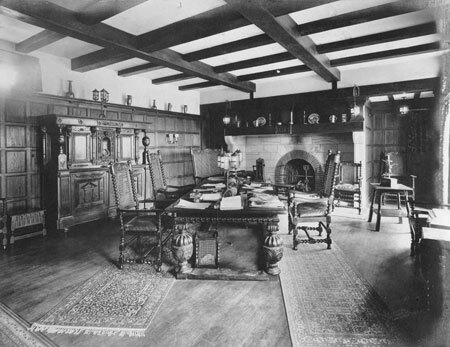 Quite remarkably Claude Grahame-White’s sumptuous first floor office has been faithfully recreated through careful analysis of a single black and white photograph dating from 1915 – the only known photograph to survive. The colour scheme was noted from a painting. Great care and attention was taken to source materials from across the world and ensure that the details of the original office were replicated, which ensures the time capsule feel when entering the room. The office has a style and period charm which Museum visitors will now be able to enjoy at their leisure and copies of historic documents have been re-produced with the intention that these can be handled. 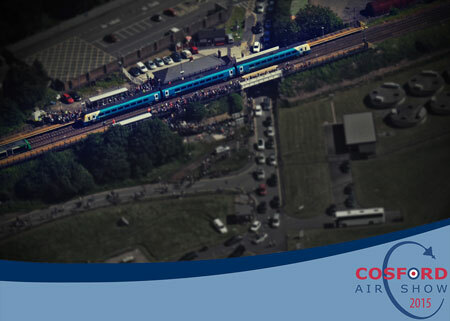 Organisers of the 2015 RAF Cosford Air Show announced today that a combined rail travel and Air Show ticket is now available from all manned UK rail stations. If purchased with rail travel to Cosford, admission is discounted to £18.00 per adult, a saving of £4.00 on the standard price. Accompanied under 16s have free entry to the show. 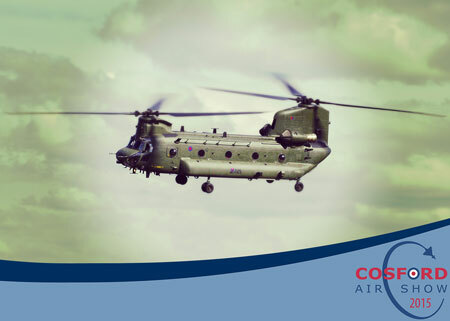 The RAF Cosford Air Show is the largest aviation event in the Midlands with an exhilarating six hours of aerial displays. It’s a fantastic day out for the whole family with a huge variety of attractions on the ground including this year, for the 70th anniversary of VE Day, the Victory Village, an all-day street party transporting visitors back to 1945. There will also be plenty of opportunities to get hands on with engineering experiments and a great mix of shopping opportunities. Tickets for the RAF Cosford Air Show 2015 are on sale now, priced at £22 and with free entry for accompanied under-16s. 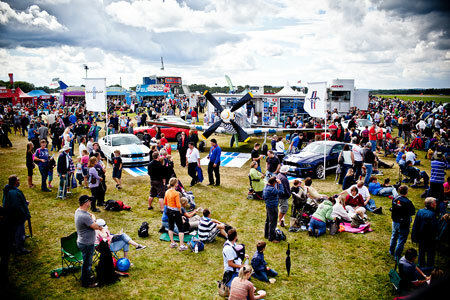 Visit www.cosfordairshow.co.uk to purchase online orfor details of retail outlets selling tickets. From the mighty Avro Vulcan to the feisty MiG-15, classic jet aircraft will be out in force at the Royal Naval Air Station Yeovilton International Air Day on Saturday 11 July. Several will help mark the show’s key theme celebrating RNAS Yeovilton’s 75th anniversary, none more so than the world’s only flying Sea Vixen, based here since September 2014. The former fleet defence fighter in its 899 Naval Air Squadron (NAS) markings will surely take many visitors back to when the Sea Vixen’s unmistakable shape speared regularly through the Somerset skies. Canberras and Hunters also became a familiar sight over the county and there will be an example of each performing a joint flying display at Air Day. 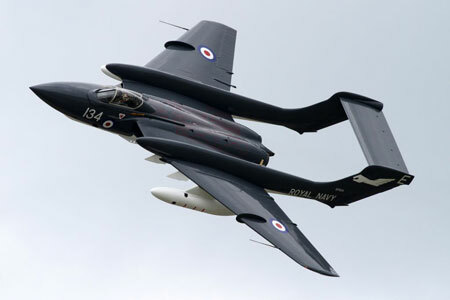 Designed as a bomber, the Canberra became latterly a photo reconnaissance platform and this example is, like the Sea Vixen, globally-unique. In their very smart silver colour scheme, both jets represent British post-war aviation technology at its classiest. Representing RNAS Yeovilton’s thunderous ‘70s era – the muscular and potent F-4K Phantom FG1 in its newly-applied 892 NAS markings will be on static display. Two examples of the legendary Sea Harrier FA2 will also be on the ground representing the Air Station’s last frontline fixed wing squadrons. One of the star attractions will be a MiG-15, belonging to the Norwegian Air Force Historical Squadron, making a rare appearance in the flying display. The Cold War classic jet fighter will be the first of its kind to display in this country since the late-1990s. The MiG-15 is well known for its role in the Korean War and engaging Royal Navy Sea Furies where remarkably on one such occasion the piston-engined aircraft gained superiority over the jet. Finally, in what truly might be its swansong season, Avro Vulcan XH558 is returning to give yet another hugely powerful account of itself. The much loved and strongly supported V-Bomber, named ‘Spirit of Great Britain’, will perform a ground shaking flying display and be present on the ground for guided ‘under-wing’ tours, perhaps for the last time ever at Yeovilton. Also confirmed for this summer’s Air Tattoo is a mass flypast of historic aircraft to commemorate the 75th anniversary of the Battle of Britain, a display by the world’s only airworthy Vulcan bomber and, of course, the legendary Red Arrows. 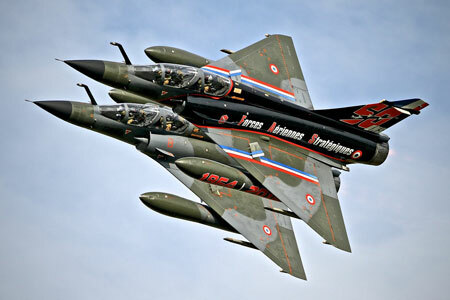 Other aircraft confirmed for the flying display include the UK debut of Team Zeus from the Hellenic Air Force, a Czech Air Force SAAB JAS-39C Gripen and a Royal Netherlands Air Force Apache helicopter. On the Showground, attractions include theme areas such as the Adrenalin Zone, ideal for thrill-seekers of all ages; the Techno Zone, which brings engineering to life with demonstrations and hands-on activities designed to engage young minds; the evocative Vintage Village andnew for 2015, theAutodromefeaturing a wide range of rare and exciting cars and motorbikes. Organisers of the RAF Cosford Air Show today confirmed more aircraft that will be appearing on Sunday 14th June, as part of the Search and Rescue theme. 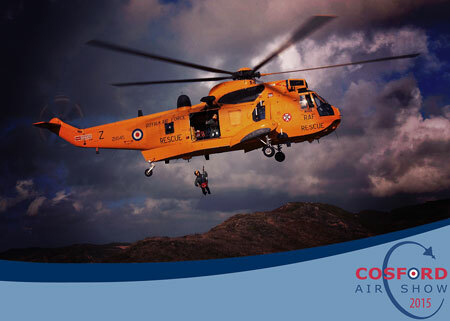 In the air, visitors to the show will be treated to a search and rescue role demonstration from the iconic RAF Sea King HAR3. The appearance of the yellow helicopter, which has been in service for over three decades, will likely be one of the type’s final public appearances with the Sea King retiring from Royal Air Force service later this year. Showcasing the history of air-sea rescue, a historic American sea-plane will also be taking part in the flying display, a Consolidated PBY-5A Catalina. The Catalina was used by both the US Navy and Royal Air Force during the Second World War, landing on water to rescue downed Allied airmen. Air Show spokesperson Peter Reoch said, “The appearance of the Sea King & Catalina both strengthen the flying display line-up, adding to the colourful and eclectic mix of aircraft already confirmed for the show.” With these aircraft additions, organisers are again reminding visitors that tickets to the show must be purchased in advance. The advance tickets only policy is hoped to further improve the traffic flow into the event, which last year attracted 55,000 visitors. On the ground, the ‘SAR Zone’ will contain numerous SAR related displays, including RAF Mountain Rescue Service and the West Midlands Fire Service Technical Rescue Unit, who specialise in Urban Search and Rescue. Aircraft already confirmed for static display within the area include a Griffin HAR2, Whirlwind HAR10 and the Midlands Air Ambulance. 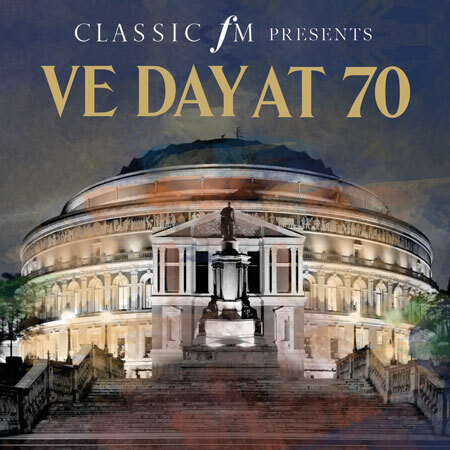 Classic FM will host a special VE Day at 70 concert live from London’s Royal Albert Hall on Sunday 10 May 2015. Presented by Classic FM’s John Suchet and Myleene Klass, the evening promises to be a spectacular celebration to mark 70 years since Victory in Europe Day. John and Myleene will be joined by a host of special guests alongside the Royal Philharmonic Concert Orchestra, as they reflect on a day that changed the world – 8th May 1945. Music will include Edward Elgar’s Nimrod, William Walton’s Spitfire Prelude and Fugue, Eric Coates’ Dambusters March and Gustav Holst’s Jupiter. Tickets are now on sale and can be booked by visiting www.royalalberthall.com or by calling the Royal Albert Hall box office on 0845 401 5045. 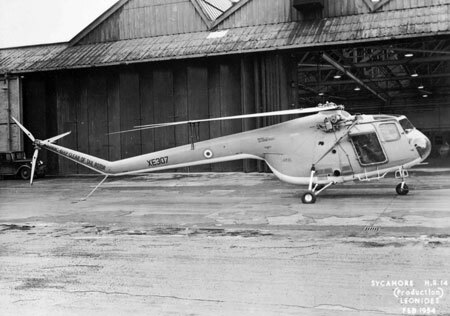 The Bristol Sycamore was the first British-designed helicopter to serve with the Royal Air Force. Produced by the Bristol Aeroplane Company, it was employed on search and rescue and anti-submarine warfare duties. The Sycamore entered service with 275 Squadron of the RAF in April 1953, and went on to serve with nine squadrons in total. It was used during the Malayan Emergency (1948-1960) for deploying Army foot patrols into the jungle. The type was used by the Royal Air Force Central Flying School for pilot training. This particular example served with No. 284 Squadron in Cyprus during the late 1950’s before returning to the UK in the mid 1960’s. Following a brief stint at the Central Flying School, it was allocated to the RAF Museum in the late 1960’s. It was then loaned out to Manchester Air & Space Museum for public display between 1982 and 2008. Since then it has been in RAFM storage facility at MoD Stafford. Organisers have seen a boost in ticket salesover the Easter period, with over 20% of the tickets for the event sold already. This year, the event will not have any tickets available on the gate, and therefore visitors are being reminded to buy their advance tickets as soon as possible. Advance Tickets to the show are already on sale online and in various outlets across the West Midlands, priced £22.00. The Air Show is a great day out for all the family, with accompanied under-16s coming to the show for free. 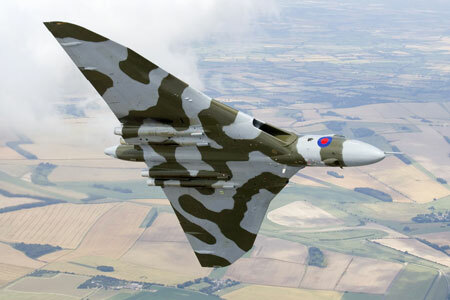 Airbourne fans have a Super Saturday in store at this year’s air show in Eastbourne, as organisers announced this week that the Vulcan bomber will be topping the bill that day, in a 12 hour extravaganza of flying, ground displays, live music, twilight pyro-aerobatics and fireworks. The free four day event which runs from 13 – 16 August will also feature the world famous RAF Red Arrows on Saturday, along with displays throughout the afternoon from the Eurofighter Typhoon, Tutor, a new Hawk T2 duo display and the Battle of Britain Memorial Flight, which features a four-ship formation from the Lancaster, Spitfire, Hurricane and Dakota. Featuring live music and entertainment on the Airbourne Live beach stage throughout the day, the festival fever continues into the evening with live bands, a twilight aircraft pyrotechnic display and finishes with a fantastic fireworks display across the seafront at 10pm. The four day show also features plenty of fun on the ground, including a military exhibition, children’s entertainment areas, helicopter pleasure flights and evening concerts at the Bandstand, including Big Band Night on Thursday and the legendary pop-punk princess Toyah, on Friday. The Airbourne Live stage on the beach will feature music throughout each day and into the early evening, with a wide variety of acts to be announced over the coming weeks. Airbourne: Eastbourne International Air Show returns from 13 – 16 August 2015 and entry is free. The RAF Red Arrows are confirmed to display over three days, with more flying displays to be announced over the coming weeks. All flying is subject to RAF operational commitments, weather and serviceability. The flying display is part funded from public donations each year at Airbourne, thanks to contributions by Sussex residents David Dickens and Brian Bunce and the collections organised by Marco and Cathy Giorgi and the Rotary Clubs of Sovereign Harbour and Hailsham, with 30% of the proceeds also passed onto local charities. Wings & Wheels is promoted by Dunsfold Park Limited and in 2015 will be assisting the fundraising efforts of Brooklands Museum Trust and Help for Heroes.